The Trump administration wants to increase the slaughterhouse kill lines for chickens and pigs. At some slaughterhouses, 140 chickens and 21 pigs are killed every minute. David exposed the horrors of a high speed pilot program after working undercover inside of a pig slaughterhouse. What do we need to know about how animals and workers are treated in slaughterhouses and factory farms? It's impossible to pinpoint the exact moment Americans embraced industrialized food. But the first Christmas after the Civil War is a key date to note. 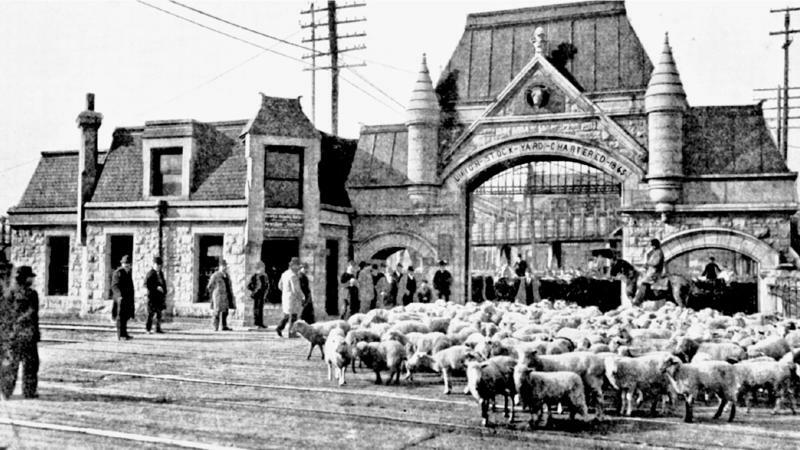 That's when Chicago's infamous Union Stock Yard opened to the public, in 1865.